Since Charlie Gallacher started giving his dog Dixie a daily cannabis tincture to treat her hip pain, she has gone from sedentary and unwilling to walk on one of her legs to being able to go for walks and play. Charlie Gallacher had long been making a cannabis tincture for himself when Dixie, his 2-year-old Catahoula, started limping and refusing to move or eat due to severe hip pain. Leery of painkillers or surgery, Gallacher asked a vet about giving Dixie his tincture under her tongue. Start with tiny doses, the vet said, and stay with her. After three days of treatments, Gallacher said, Dixie stood, wagged her tail, and walked on all four legs, something she hadn’t done in weeks. Gallacher, a grocery produce clerk, is among a growing number of pet owners using marijuana to treat their dogs’ and cats’ ailments, including pain, anxiety, loss of appetite, and seizures. But veterinarians are concerned. There is no research on THC and animals, and very little on cannabidiol, or CBD, a nonpsychoactive compound. CBD is also largely unregulated, giving way to wild promises and scores of products that may not contain what they claim. 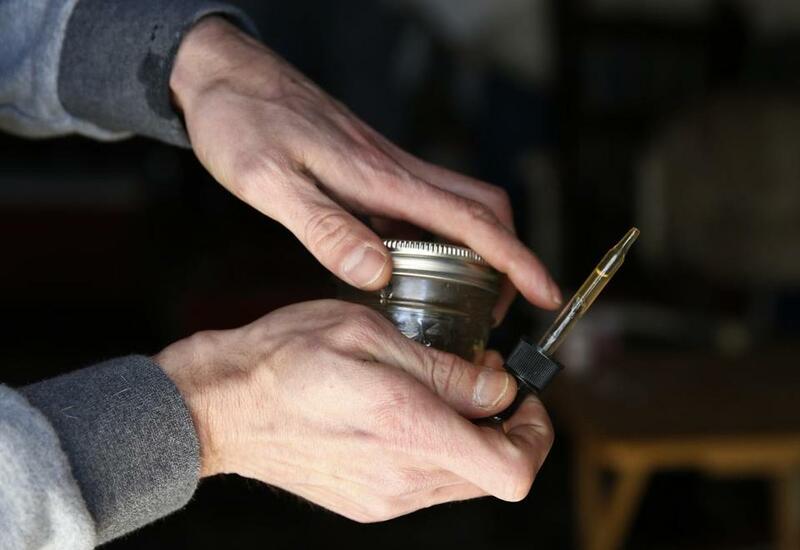 While Gallacher brews Dixie a special “tincture-lite” that includes small amounts of THC and CBD, most pet-cannabis advocates suggest giving animals only CBD. Pets can’t tell you if they’re too stoned. With treats, pills, sublingual tinctures, and lotions available, the pet market is a fast-growing segment of the booming CBD industry. The cannabis tincture Charlie Gallacher gave to Dixie. People are deluging vets with questions about cannabis. Dr. Adam Boardman, a vet at Massachusetts Animal Medical Center in Watertown, said he’s asked about it a few times a week. He tells owners to generally not give a pet anything that’s not vetted. So far, none of his clients who have given their pets CBD have reported good or bad results, he said. If a vet recommended a marijuana product and the animal suffered a bad reaction, the state licensing board could punish the vet, Boardman said. “I certainly don’t want to hurt the animal and secondarily, I don’t want to ruin my life’s work to get to this point,” Boardman said. The Massachusetts Veterinary Medical Association is preparing an advisory to let vets know that it’s legal for them to discuss cannabis with clients, though they should be careful about recommending products because of the lack of research and testing. Boardman said his biggest concern is that the alluring miracle claims of CBD could turn people away from scientifically proven remedies. 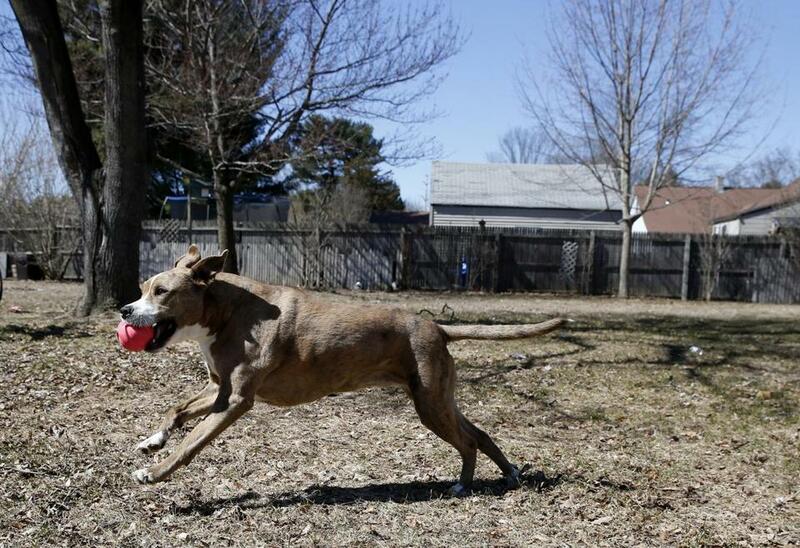 Charlie Gallacher gave Dixie, his Catahoula, a daily cannabis tincture to treat her hip pain. The boom comes as animal care groups report a surge in marijuana-related toxicity cases, which generally occur by accident, when a dog sneaks into a purse or bag and eats a THC edible made for humans. Those edibles may contain chocolate or other ingredients that can be toxic to animals. Small amounts of THC can also be toxic to dogs because they have many cannabinoid receptors, making them particularly sensitive, and they weigh less than humans. 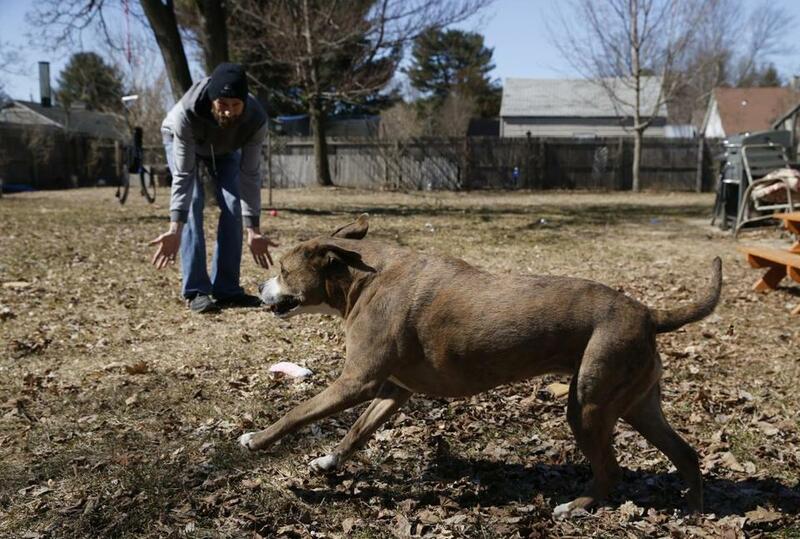 At Angell Animal Medical Center in Jamaica Plain, emergency room vets see a marijuana-intoxicated dog about once a day now, out of roughly 80 total daily emergency visits. That’s far more frequent than a few years ago before legalization took hold, when they saw one every few weeks, said Dr. Kiko Bracker, a veterinarian there. Last year, the American Society for the Prevention of Cruelty to Animals’ poison control hot line received 1,800 calls about marijuana toxicity, up 765 percent over 10 years. 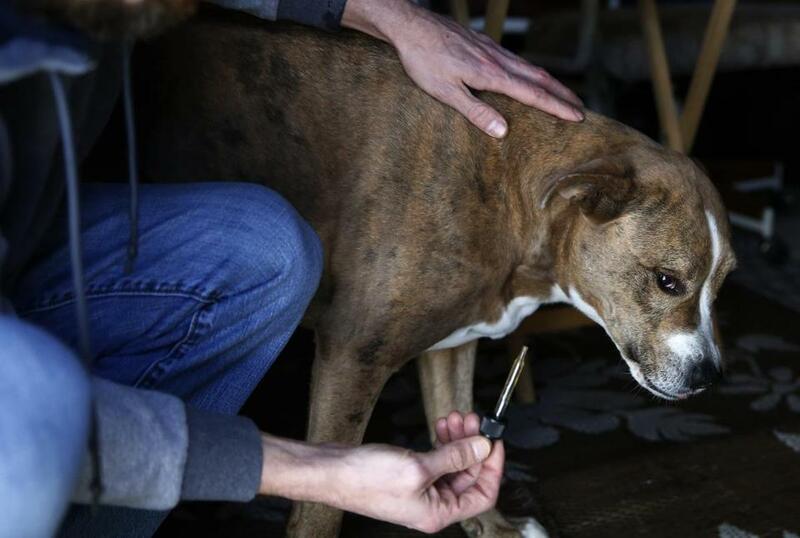 The ASPCA attributed the rise, in part, to reduced stigma about pot. A dog that has overdosed on cannabis tends to stumble, seem disoriented, and leak urine, Bracker said. Possible treatments include induced vomiting and intravenous fluids. There’s minimal risk of death or long-term effects, Bracker said, noting they usually just need to sleep. If the dog is hospitalized, he said, that can cost about $500 to $750 per night. Dogs and cats, like many animals, have an endocannabinoid system that interacts with the compounds in cannabis to produce biological effects. Research is lacking, but not nonexistent. In a study by Cornell University published last year in Frontiers in Veterinary Science, dogs with osteoarthritis who took CBD oil “showed a significant decrease in pain and increase in activity,” with no observed side effects. 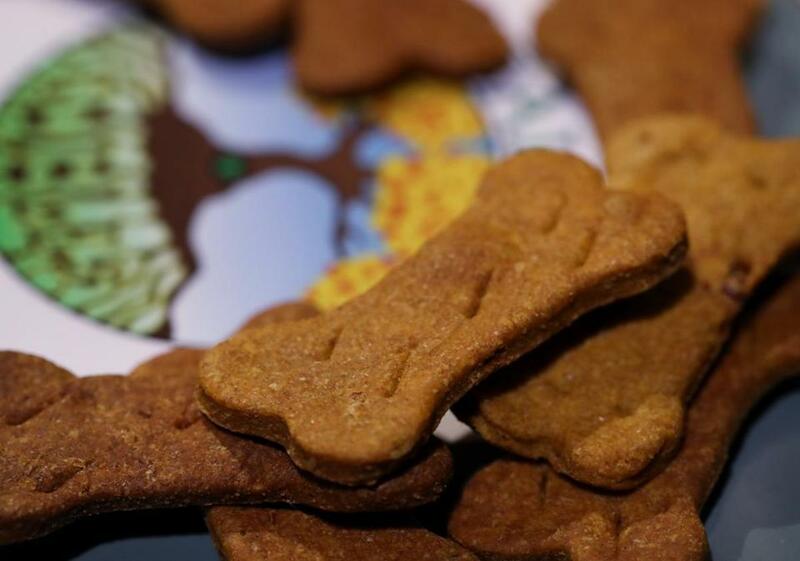 Organic CBD infused gluten free dog treats by Healing Tree Edibles displayed at the New England Cannabis Convention at the Hynes Convention Center on March 22. There is no shortage of companies trying to cash in on the pet-CBD craze. Pet products are considered the fastest-growing segment of the CBD market, said Tom Guel, CEO of the CBD processor Lilu’s Garden based in Denver, which received nearly $100 million in revenue last year. “Pets are interesting because there isn’t really the placebo effect” that humans can have, Guel said. Across marijuana dispensaries in Arizona, California, Colorado, Nevada, and Oregon, sales of CBD pet products increased 19 percent between the first half and the second half of 2018, said Greg Schoenfeld, vice president of operations for BDS Analytics. At the New England Cannabis Convention in Boston last Sunday, about 30 people attended a talk on treating pets with cannabinoids. The speaker was Christine Harootunian, a licensed clinical nutritionist in Rehoboth who now runs an educational business, Best CBD For Fido. She said she first turned to cannabis when her Portuguese water dog, Ela, struggled with food allergies that left her itchy and chewing her legs. Though she didn’t find a good remedy for Ela, she did succeed in treating a friend’s pug, Buddy, with CBD. He suffered from arthritis and couldn’t move a hind leg. Within days of starting CBD oil, he was walking on that leg, she said. Harootunian urged attendees to consult with their vets about CBD dosing and potential drug interactions. Dixie played in the yard of Charlie Gallacher’s house in Western Massachusetts. Naomi Martin can be reached at naomi.martin@globe.com. Follow her on Twitter at @NaomiMartin.